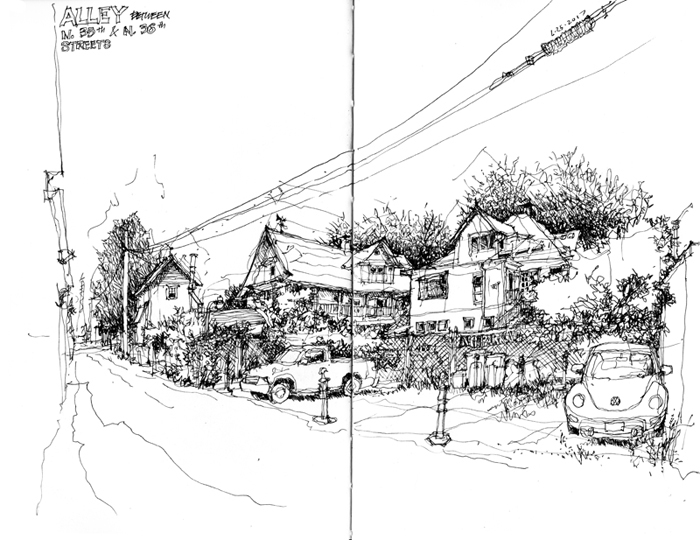 I found a shady spot to draw this alley in Fremont during the monthly meeting of the Seattle Urban Sketchers. Notice the many lines that mark the false starts as I struggled to get the proportions and relative sizes of the building forms to fit within my desired view. The key for me is to ignore these stray marks as I continue to develop the drawing and add values and line weights to create the sense of spatial depth on the page.